TigerSwan is a Service-Disabled, Veteran-Owned Small Business that was founded in 2007. It holds certiďŹ cations for three quality assurance management systems in the private security industry from MSS Global, and it has received international recognition on multiple occasions. The ďŹ rm was established by retired members of the United States Delta Force, Special Forces, and Federal Law Enforcementâ&#x20AC;&#x201D;and they employ a force-ready team equipped to handle global response and deployment. 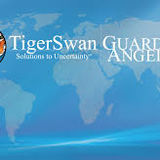 TigerSwan delivers clear, actionable insights to address critical security challenges for clients around the world. 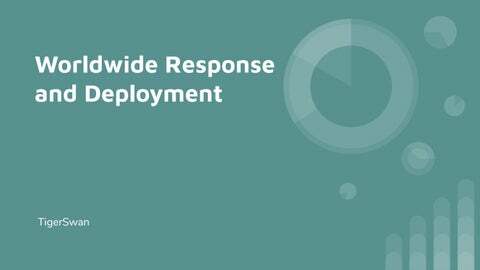 TigerSwan is a full-spectrum crisis management and mitigation ďŹ rm that combines advanced technologies with extensive real-world experience.